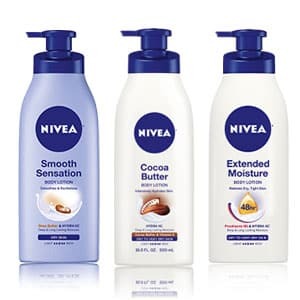 Head over here and select your choice of FREE samples: Nivea Cocoa Butter Body Lotion, Nivea Smooth Sensation or Nivea Extended Moisture then submit your mailing information. Your freebie and coupon will arrive by mail in 6-8 weeks. Limit one per household or email address.